A superfood garden plan is exactly what you need to take your garden to the next level. This year in the garden I’m planning to grow a Wahls Protocol garden. This is a great experiment in making my diet more nutrient dense! All great diets start with nutrient dense fruits and vegetables. Whether you are vegan, vegetarian, paleo, gluten free, GAPS, South Beach all these great diet plans have nutrient dense fruits and vegetables at the core. Get even more detailed information here. A common theme is for these diets to eliminate the processed food and refined carbohydrates and increase the nutrient dense fruits and vegetables. In the past my family ate a gluten free /dairy free diet because of food allergies. These last 4 years we have been on the Paleo diet and have had great success eating this way. I am going to grow the food according to Dr. Terry Wahls study of how to get the best combination of nutrients from our foods. Her basic philosophy is all chronic diseases such as heart disease, diabetes, cancer, autoimmune diseases are all based on a combination of diet, toxin exposure and activity level. Her Paleolithic diet plan is streamlined for the best possible nutrition possible. 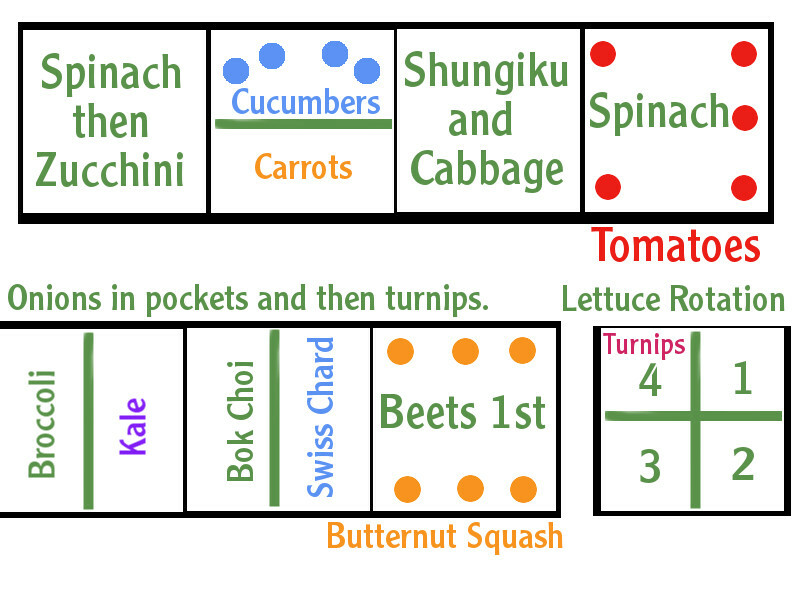 So this is going to be my Paleo garden plan. This plan will work for anyone who is wanting to eat lots of vegetables and get great nutrients. If we give our cells what they need to function properly then they will keep us functioning properly. So what do we give our cells and how do we get it? Dr. Wahls recommends 9 cups of vegetables and colorful fruits each day. She recommends 3 cups of leafy greens, 3 cups of sulfur rich vegetables and 3 cups of color rich fruits and vegetables. The goal of these 9 cups is to add what the cells need and to eliminate what interferes with their function. What do these three categories of food do for you? I believe that her plan in suggesting these large amounts of vegetables is so that you will naturally eliminate more of the refined high carbohydrate foods. To be able to afford nutrient dense organic foods or just to be able to find the best food can be tricky. It is not hard if you are growing it yourself! 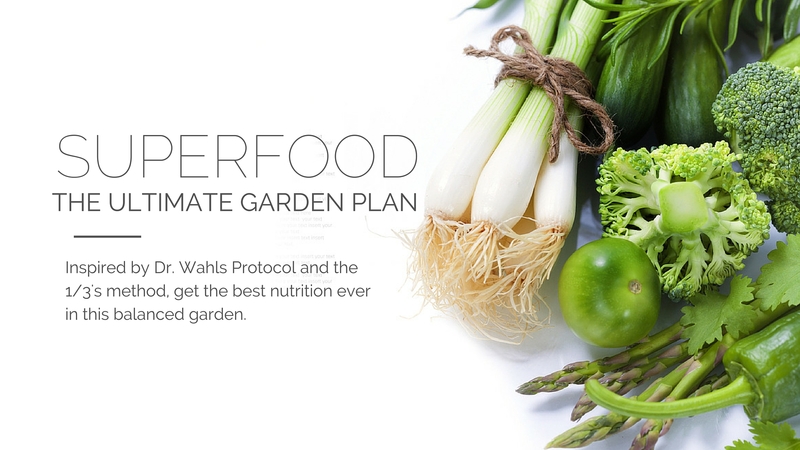 This superfood garden plan is in honor of Dr. Terry Wahls work and also to grow the most nutrient balanced vegetable diet. My plan is to eat all of the produce from the garden. This variety of produce will give me the most balanced nutrients that my body needs to thrive. Lettuce, spinach, kale, swiss chard, bok choi and Shungiku. Cabbage broccoli, onions, turnips (kale, bok choi). Carrots, cucumber, zucchini, tomatoes, butternut squash and beets. What is your garden plan this year? I would encourage you to give this garden plan a try! No matter what diet you eat, this is a great garden to try out! If you would like to follow this garden’s progress, sign up for the free weekly High Performance Garden Show! This is a real time gardening show that will follow me on a gardening adventure through this growing season. 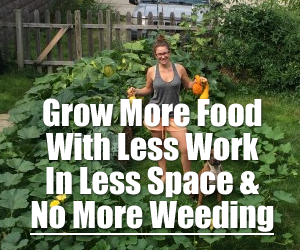 Gardening & Self Sufficiency Lifestyle Tips! The Forested Garden: What Is A Food Forest? We already did. We live among our surround perennial food forest. Are Backyard Chickens Really Worth It?